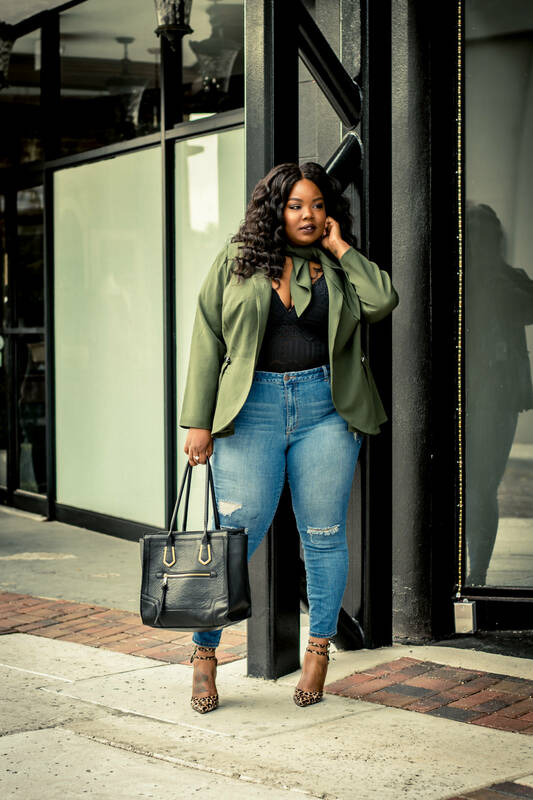 Every Boss should create at least 1 vision board a year. And if you’re a boss like me then you probably have a vision board for every aspect of your life (well not every but the most important parts of your life). When you use a vision board, you’re simply creating something tangible that reinforces the positive thoughts and advancing ideas in your mind and inviting more of that energy into your environment. 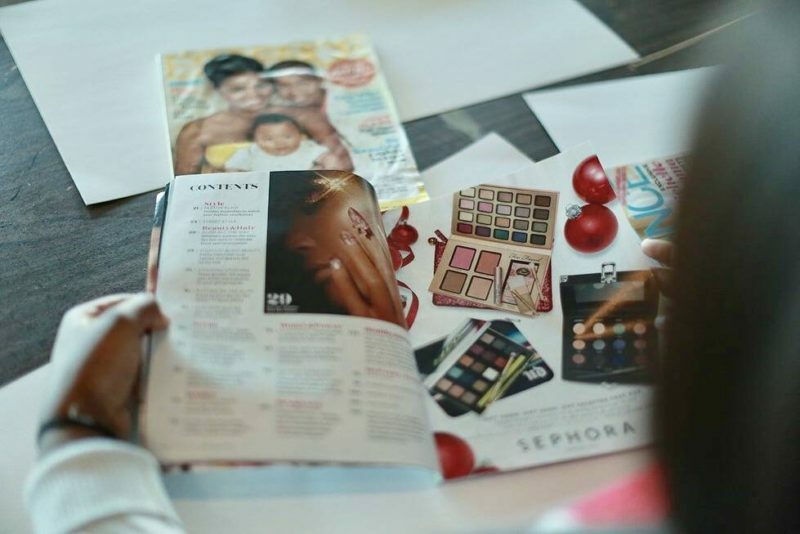 Creating a boss lady vision board can be at times very overwhelming. You may ask yourself, well what should I focus on? 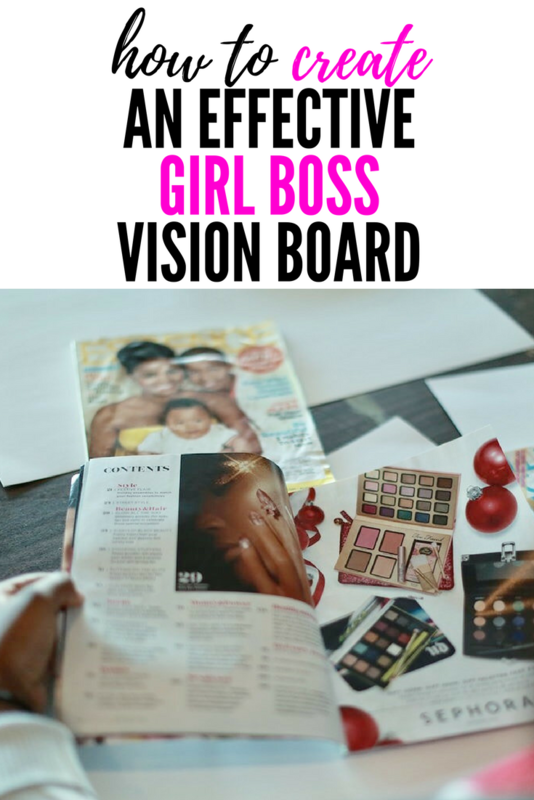 Today I’m sharing how to create an effective girl boss vision board. 2. Gives you a visual reflection of your goals. 3. 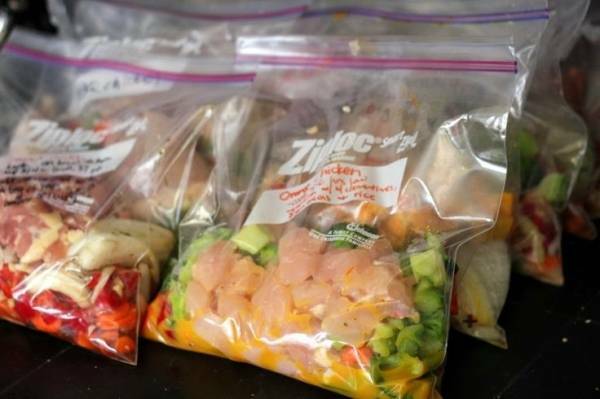 It helps you clarify, focus on and achieve your goals. 2. Prepare all the materials you need to make your Vision Board/s. Scissors, magazines, photos, glue, cork/card board or whatever you want to use as a surface. Remember, you can use the internet to find pictures to print and use. 3. Paste/pin all the pictures, sayings, quotes. I like to put them in order of importance. 4. Place your board/s in places that you will be able to see them every day. Your office is a great place and maybe the bathroom. Give yourself at least a minute each day to look at your board and reflect. A vision is not just a picture of what could be; it is an appeal to our better selves, a call to become something more. 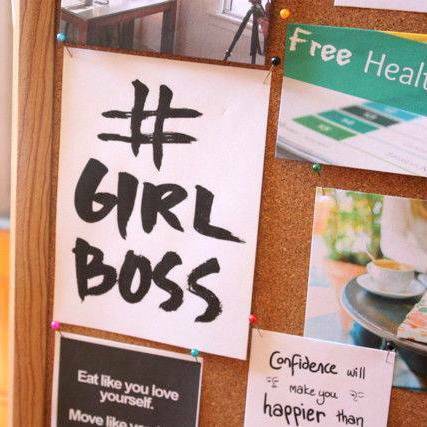 Have your created your Girl Boss Vision Board yet? 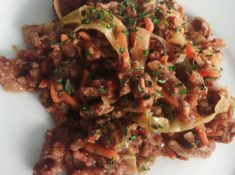 Hope this post inspires and motivates you to be a BETTER you!!!! 4 Ways To Pamper Yourself On Valentine’s Day.